Without a doubt, our state of consciousness matters and impacts others. Have you ever paid attention to how impactful your energy can be in a room of people or at a store or anywhere you go? Do you notice how often people respond to you in positive ways when you are feeling more expanded and happier? Likewise, when you are in a bad mood and gloomy, often people will mirror that back as well. Even when you feel invisible, you are still emitting energy. Bottomline, we are energy and we are always in the experience of exchanging energy, whether we are aware of it or not. There is a continuum of vibratory frequencies that we embody and offer to others — from the most tremendously, powerful healing frequencies imaginable — all the way to the thickest, densest energy that feels deadening and heavy. Masaru Emoto, a Japanese author and entrepreneur, wrote a New York Times best-seller book, The Hidden Messages in Water, that explored how human consciousness has an effect on the molecular structure of water. He hypothesized that positively focused thoughts, words and prayers could impact the shape of ice structures and clear polluted waters. In 1993, a research project conducted in Washington, D.C. studied a group of 400 to 4,000 ™ mediators and the effect of their mediation’s on reducing crime and social stress over a two-month period of time. Before the project, violent crime had been steadily increasing during that year in D.C.
Over the weeks of the trial, violent crime decreased as measured by FBI Uniform Crime Statistics and continued to drop until the end of the experiment. The 23.3 % significant reversal in the predicted crime trend occurred when the size of the group was at its largest in the final week of the project. When the project disbanded, crime began to rise again. As a result of the thoroughness of the trial, other possible causes, (including temperature, precipitation, weekends, and police and community anti-crime activities,) were ruled out as factors. As predicted by the world peace organization, Super Radiance, which was responsible for this research, it was found that popular support for the US President also increased during the time of the trial.This was one of fifty-three experiments conducted all over the world that also had similar results. 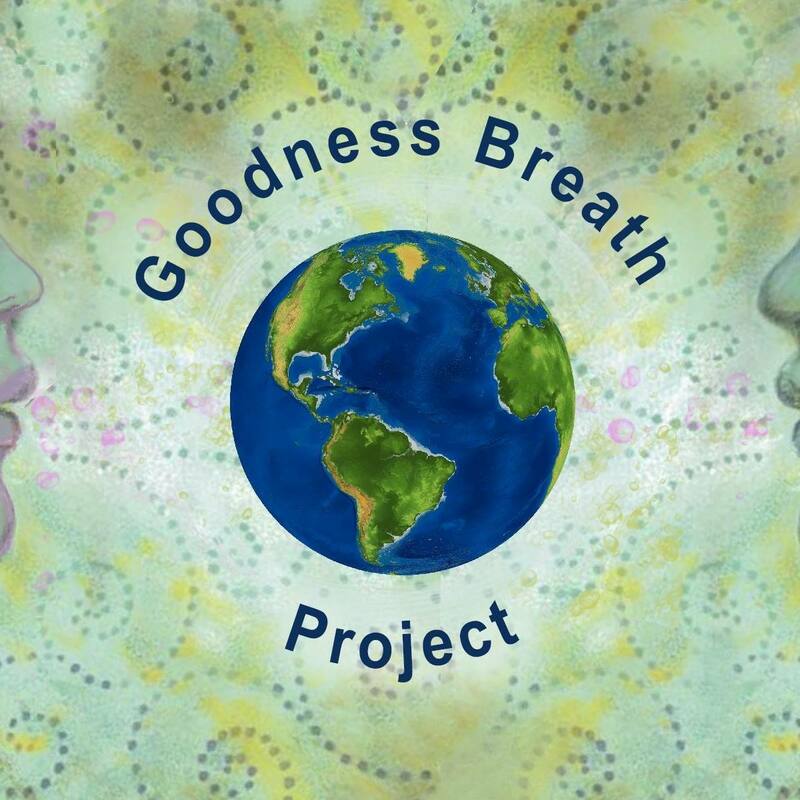 This understanding of energy is the fundamental basis for The Goodness Breath Project. With intention and breath, we can make a difference. In alignment with the research by Super Radiance, it is evident that the more of us who participate in embodying and radiating our inherent goodness, the more powerful our impact can be to bring more healing and light into our world. One. Inhale goodness from deep within. Consciously allow yourself to fill with “Prana” (the life energy force) and know that your very essence is goodness and nothing and no- one can take this away from you. Two. Pause and savor your sense of goodness. It is not necessary to ‘feel” the goodness but rather with full intent, acknowledge your breath as inherently one with your goodness and be conscious of the breath filling you. Even for just a moment. No matter what you feel or think, goodness is the core of who you are and the source within you. Three. With full intent, exhale this goodness out into the world as a fierce and powerful force of light. These sounds have the meaning that calls us to remember spiritual essence above materials, goodness above ego interests. It is often chanted at funerals as a wake up call to remember the purpose for being alive. If you want, read this rap out loud so that the sounds of the words can play on your tongue. You may feel the rhythm open you, empower you and maybe even delight you as you tune into your own sense of goodness and the vision of being in the company of human beings all over the world who are actively invoking goodness. The goodness breath is my guide. Breathing goodness we go high! Please cross-post this and make it yours. Share with everyone you know to join our insistence to shine even brighter in these challenging times and channel our goodness as a force of light, everywhere, to everyone.